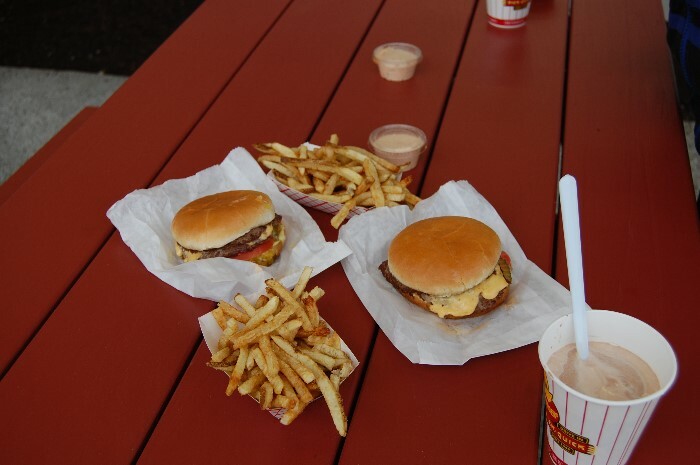 Have you ever eaten a Pick-Quick hamburger from the iconic drive-in in Fife? People say that should be on your bucket list. I know, firsthand, just how yummy they are. Rendering of the Auburn location, courtesy of Richmond Public Relations. 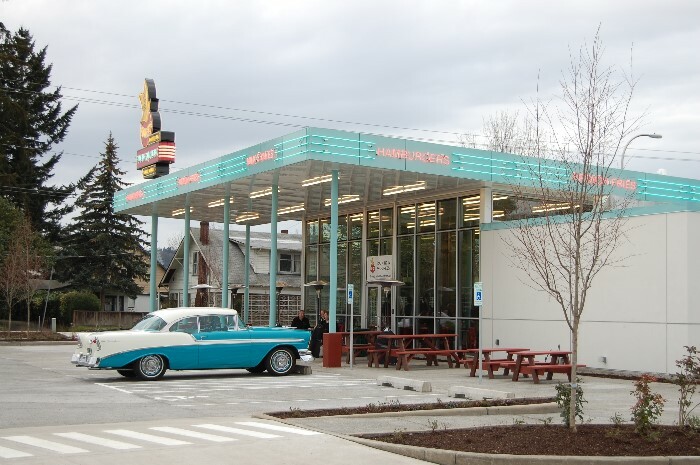 In USA Today, Jay Friedman, a freelance food writer and gastronaut, named the Pick-Quick burger the very best in the whole state of Washington. I would have to agree. The food sends waves of delight from my tongue to my brain. But, there’s one problem with the Fife location – I don’t really like sitting outside in the rain to enjoy my meal. In three weeks that problem will be solved. After 49 years of having only a single location, Pick-Quick will open a restaurant in Auburn. “The time was right and we found the right people to oversee the new facility,” said Greg Burgi, one of the owners. Not only will the Auburn location be larger and also have a drive-through window, but it will also have both indoor seating and covered outdoor seating. 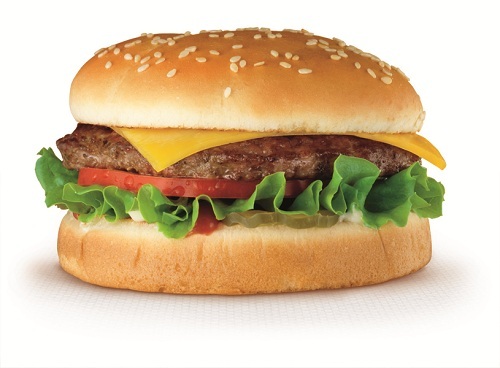 What makes Pick-Quick’s burgers better than the rest? Burgi says they make 2-ounce patties and you can have up to four of those on a bun. Fife location of Pick-Quick, courtesy Richmond Public Relations. The menu also includes: hot dogs, chicken sandwiches, garden burgers, chili, twenty flavors of milkshakes made with fresh fruit (when in season) like blueberries and strawberries, and of course, fresh-cut fries and onion rings. Currently the Fife location is closed through the end of January for their usual maintenance, where they refinish and paint their picnic tables. The Auburn Pick-Quick will be open year round. Okay – I’ll tell you where the new place is: 1132 Auburn Way North. Sign up to “like” their FaceBook page at www.Facebook.com/#1/PickQuick and check out their weekly contests. This entry was posted in Restaurants, Uncategorized and tagged Auburn, drive-in, Fife, fresh-cut fries, Greg Burgi, hamburger, Jay Friedman, milkshakes, Pick-Quick, USA Today, Washington on January 12, 2011 by Heather Larson.